There are plenty of marginalized groups out there that require society’s attention but are just not receiving any. The homeless community continues to grow across the country and there just seems to be no response to the problem. Not having any shelter is a gross exclusion of one of the most important basic rights for any person. 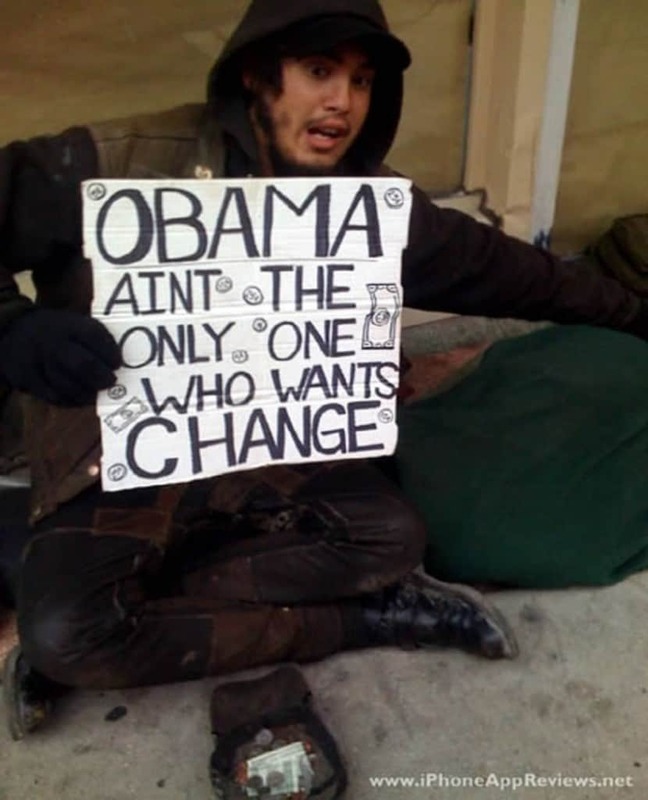 Homeless people have to fend for themselves and begging for alms seem to be the preferred way to do so. 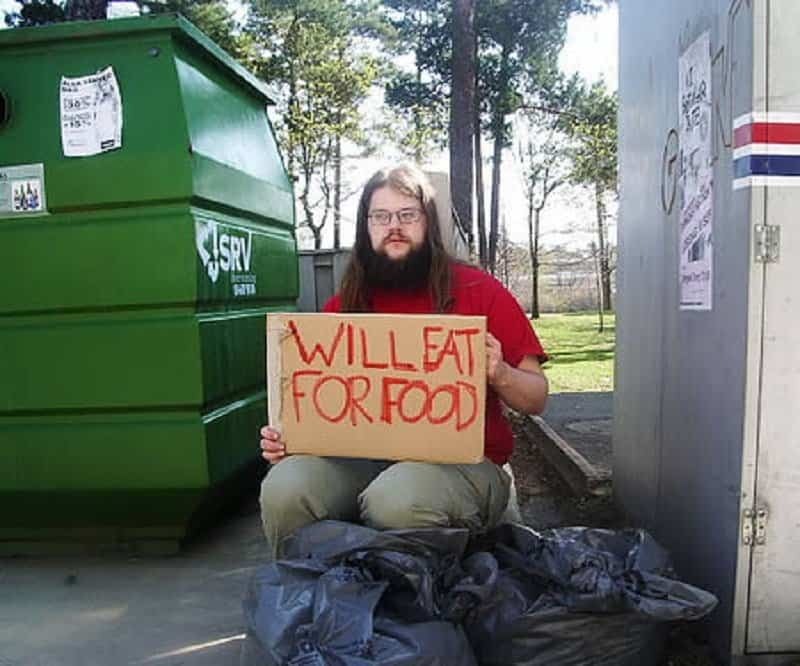 We can see funny and striking signs being held up by homeless people all the time, but it should only remind us about their humanity and a problem that needs to dealt with soon. 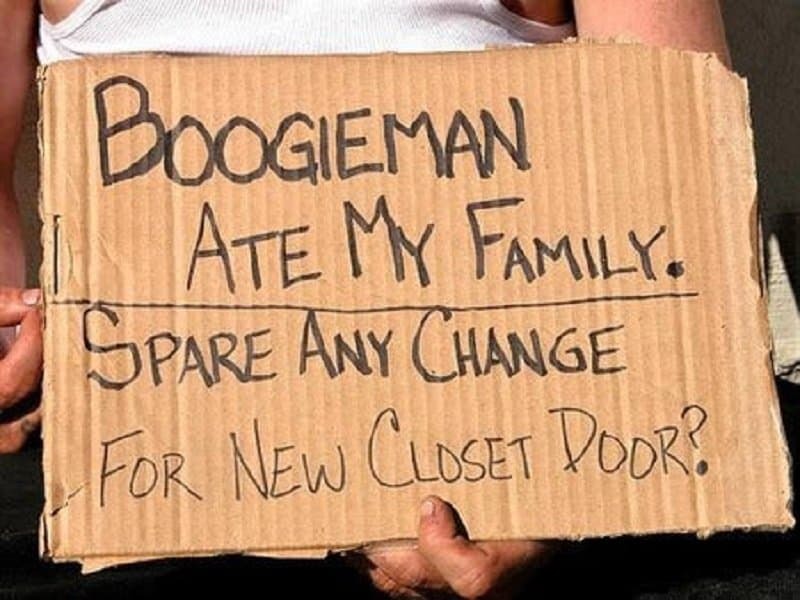 This list includes 10 of the funniest signs that we can see in the hands of the homeless. This sign was meant to be funny, but it is also haunting on so many levels. The lack of a family and a closet door should make a person shudder. This person doesn’t want to exclude any job in his quest for a good meal. If it includes any extra meal you may have, so be it. 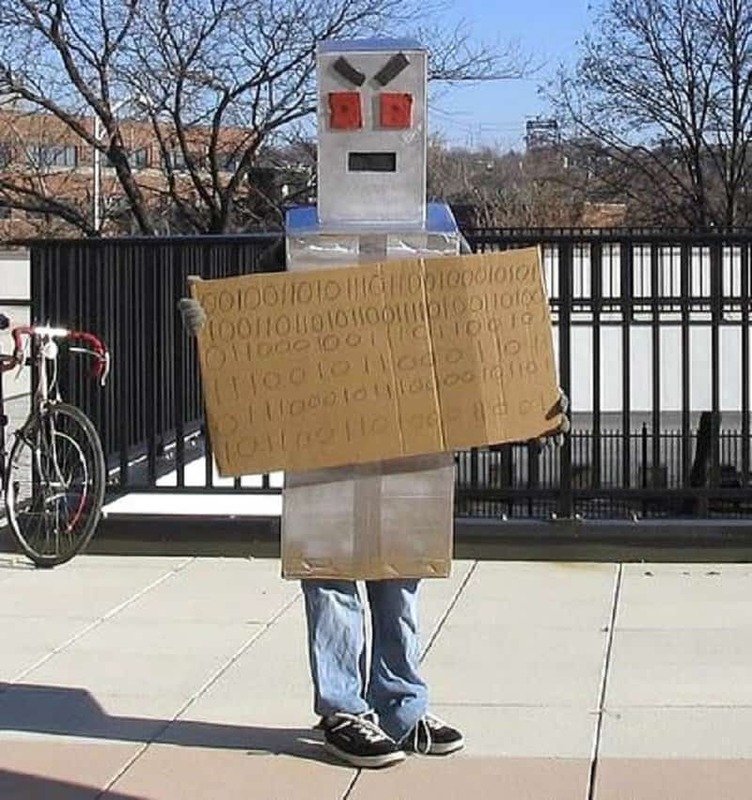 If you convert this binary code into English, you will notice that the sign actually reads: “Stop converting stuff from binary and help me please”. Any person who passes this sign cannot help but smile. It addresses a core action that makes us all human. 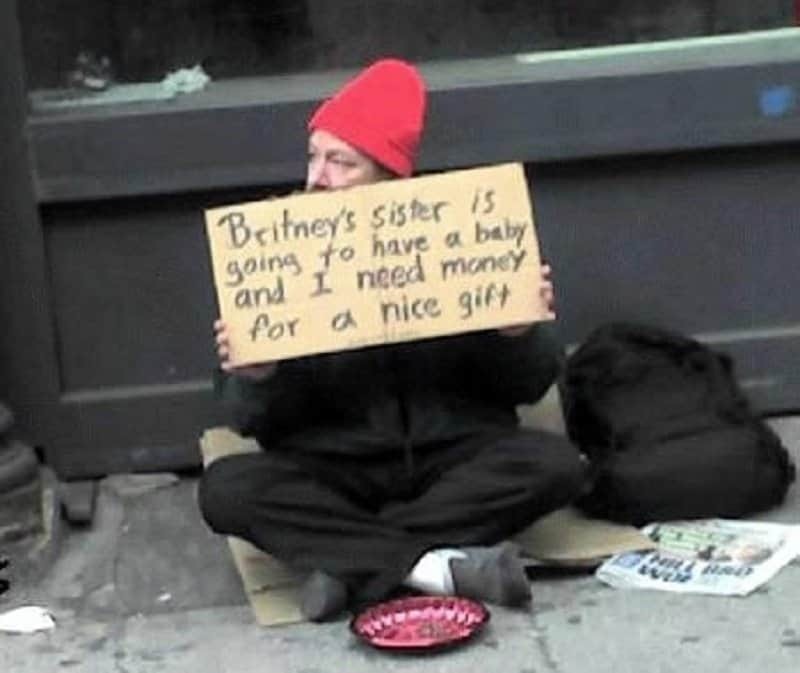 I’m not sure if this person is really asking money for Britney’s sister’s gift, but it makes you think about how helpless homeless people are. 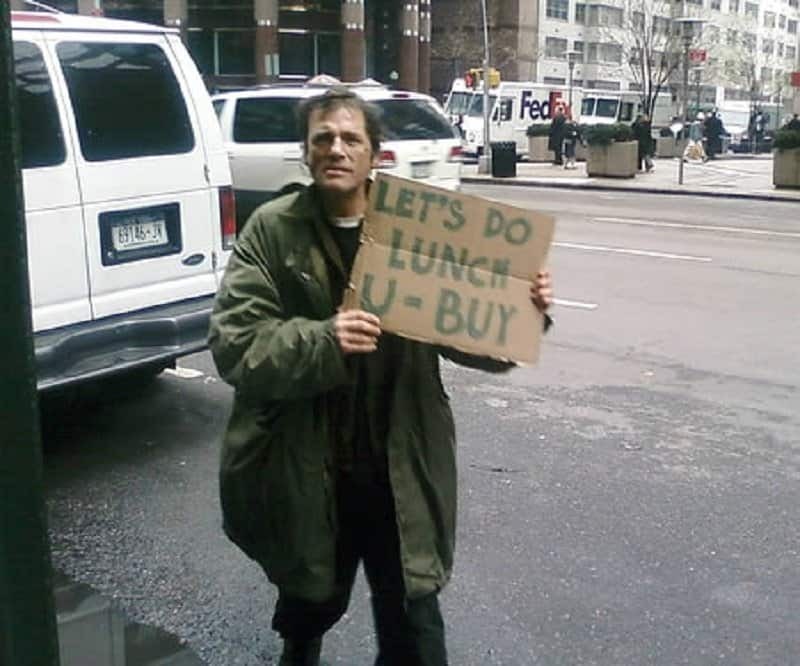 An awesome sign that juxtaposes the corporate culture of ‘doing lunch’ in order to further business, while some people just don’t have the option of such luxuries. 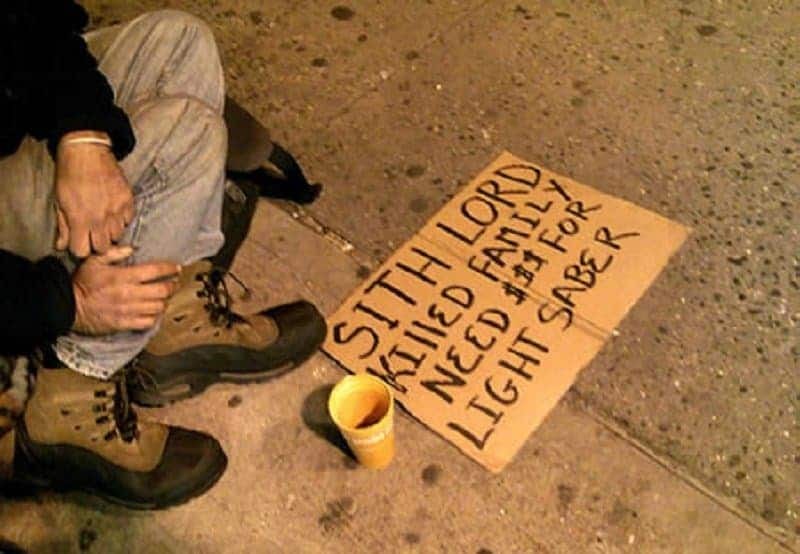 This has got to be the only homeless person sign in the world that is so deeply rooted in pop-culture. Clearly this person has been a Star Wars fan at some point, just like most of us. 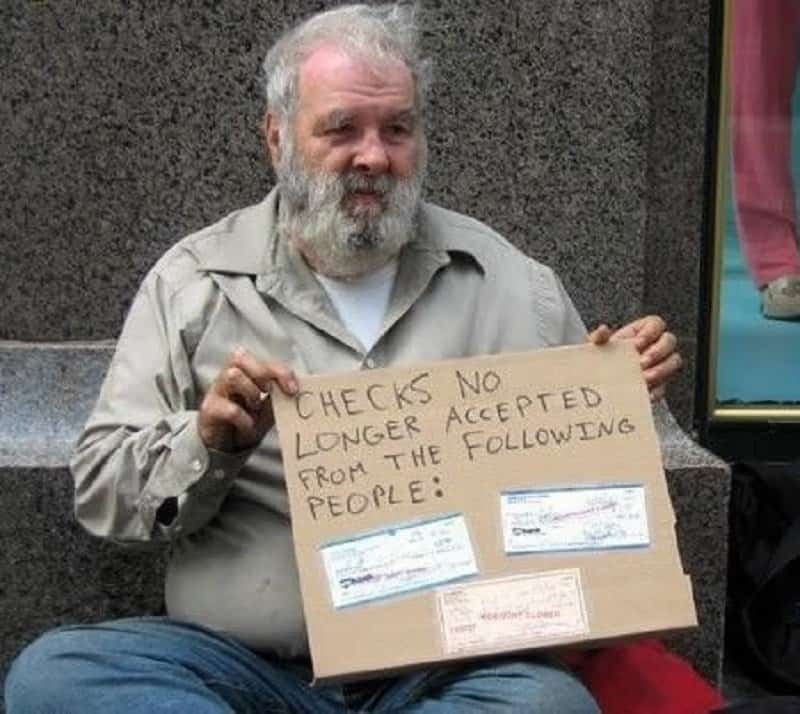 The most despicable thing you can do is write a cheque to a homeless person that can’t be cashed. This person decided to make sure everyone knows who these vile people are. We are all looking for change on an extremely grand scale. Some people however, are looking for change in the smallest sense of the word. Maybe change needs to start here. Even a homeless person knows that sleeping with Lindsay Lohan is pretty much the actions of a man on the brink of his own sanity.